The name "Known World" first appears in text in 1985's Master Set. Going back to the start of the topic, Lawrence Schick posted in 2015 about his original Known World. His use of the term "Known World" suggests that it was in use since the mid 70s, although none of his documents from the time period include that name. Fast forward to Mystara's publication, and "Known World" is nowhere to be seen in X1, nor in the Expert Rulebook in 1981. It doesn't appear in Frank Mentzer's 1983 revisions, either. It doesn't even appear in 1984's XSOLO, which introduces the name "Sea of Dread", nor in the Companion Set. We have to wait until the world map in 1985's Master Set before "Known World" reaches print, and even then, it's a single caption on the world map, still not appearing in any of that year's other products. I haven't yet looked into how things go after that, since I'm still working on 1985 at this point. What I find interesting about all this is that the community has long since taken on the view that, if things are to be divided at all (which most people here tend not to want to do, I think), "Mystara" is the name of the post-GAZ products while "Known World" is the name used for the pre-GAZ world. And yet, both terms only appeared at or near the end of their publication period. Now, how can we reconcile this with Lawrence Schick's claim to the "Known World" name? Frankly, I don't think it's really relevant. It's certainly a very interesting part of Mystaran history, and I'm thrilled that he chose to share it with us. But the fact remains that "Known World" never appeared in print until much later, and I believe its use in books was actually at its height in the latter part of the Gazetteer era. The generic nature of the term makes me wonder if it was in use in the background at TSR for all those years, or whether in fact Frank Mentzer came up with the name anew. Have you looked at the product catalogues to see how the various product lines were referred to, alongside things like Conan, Dragonlance, Greyhawk, Forgotten Realms and Lankhmar? I posted some thoughts on this last year over at Dragonsfoot, https://www.dragonsfoot.org/forums/view ... 8#p1921318. That had some research on titles but was mostly focused on what I saw as different editorial "flavors" of the setting. Nowadays I'd organize it differently, and tone down the critical opinions, but it may be of interest to some. Schick and Moldvay's Known World: From 1974-1976 was Schick and Moldvay's "known world". Was that their actual name, or just a convenient way to link their setting with the later TSR setting using a familiar term? I don't know. The continent: Unofficial and unnamed example setting from 1981-1983 but the vague terminology continued to be used for many years. Variously referred to as "the continent" or "the sample wilderness" or "the known lands" and probably others. I haven't undertaken a complete survey. The D&D Game World: In 1983 the X1 map became the official setting for BECMI. Still had no name, but was designated as THE "D&D Game World." The previous terms were still used in modules, but I think the gazetteers generally called it "The D&D Game World". The Known World: The Master Set map in 1985 is labeled "Known World". That is the only TSR reference I am aware of that predated the Gaz era, which began in 1987, although it is very close to the "known lands" of X4 and X5. Dungeon #26 from 1990 refers to the world as the "Known World of the Expert Set and the Gazetteers." (Interesting that even at that late date, it wasn't enough to call it the Known World, but had to qualify which known world.) I believe Known World is also the term used in the Rules Cyclopedia? Interesting that the known world label caught on so widely. Mystara: Officially named "Mystara" for the 2nd edition reboot (in 1994?). Also used for the video games. This is by far the longest period, and the name is used retroactively to refer to the entire setting back to 1981. The only official names the setting has ever had are "The D&D Game World" and "Mystara", as far as I can tell. Everything else was just a descriptive moniker that varied, sometimes within the same product. Last edited by Mike on Mon Apr 15, 2019 7:22 pm, edited 1 time in total. There are a lot of people who play 0D&D who claim to know it as the Known World as well. That could have been propagated via Cons and word of mouth. I knew Mystara as the Known World in '83 when I started roleplaying. And I had no contact with anyone really that could have passed that on from a bigger and more knowledgeable gaming location. I always found Mystara a very ugly name and always thought of it as "the Known World" but for the life of me I can't say when did I pick up the terminology. It could well have been when I was presented with the Master set, but I think that name stuck in my head before that. Could it be a term used somewhere in x2 to X6 modules? Could this article by Lawrence Schick be of any help? Here Schick says that the term "Known World" was intentionally coined for their campaign world to establish that there was more outside of it to be explored and developed. 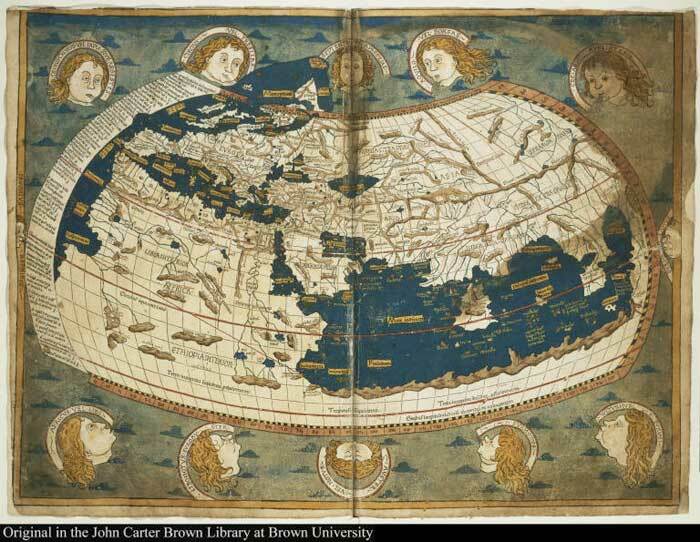 To the Greek; The Known World was literally all of the Midditerranean Sea up to about 400 miles away from it. And the coast of Spain and Marrokko. There the sea seemed to have no coast on one end so hence the idea of the end of the world became known. As to the lands...the north was too cold, wild and brutal, the south the same but hot, the east had mountains (himalaya) blocking, so to them this 'known world"was all there was. As such the artist using this name probably felt similar. ...making the Known World probably the lands of X1 map. As such we can assume that to the mass-mixed dominant culture we are now on a moment before there are Mystara-official world maps, as Skothar and Davania and most of the central and west of Brun are currently unknown by this mixed culture. There are no real attempts to explore and trade/conquer the world further, due ongoing problems within the existing known world. With one treu exception The Princess Ark. and maybe very maybe even the Heldanners. Most of their discoveries are not generally excepted (like the existence of the Hollow world, especially because the outer world has so much not known...to be part of the Known world. So in my opinion the Known world was thus a tiitle to the lands known by the mixed cultures of what we on Mystara know as the Known world( Traldar, Thyatis, Shires, Darokin, Ylaruam, Alfheim, Rockhome, Isles of Dread/Ierendi/Minrothad, Nothern Reaches, Glantri, Heldann, and even Atruaghin. Everything beyond this would be later become known, (and maybe not even to the general populace...still limiting their idea on how the world would look, like the greek did on their Known World...) and thus not belonging to the Known world. As far As i know the term "Known World' was mentioned in a general sentence first (I can't remember the source though) and not used as a real name/designation, more a general description. However later sources used it as a designation, similar to my explanation above. As such I will Conclude "The Known World"is slowly expanding over the Globe which is Mystara, yet we aren't there yet. The first capital-KW Known World reference I found was Gaz 10, followed by Gaz 11 & 12, from 1988-'89. Prior to that, modules listed The Continent of the Companion Set, or the D&D game world, when not directly referencing a given nation. Edit now that I'm near my notes again: Nope, it goes further back to GAZ 7, but, again, that's copyrighted 1988. Last edited by RobJN on Tue Apr 16, 2019 3:34 am, edited 1 time in total. I have definitely caught myself with anachronistic memories. I ran a lot of games in the KW in the 1980s, but I have no idea what I called it. If anything I probably called it the Expert Set map or the D&D map. Maybe I didn't call it anything at all, it was the only world I had. I'm not sure I saw it as a "world"... I think the Greyhawk boxed set in the late 80s was my first introduction to the idea of a "game world" proper (outside of Tolkien), with actual history and cultures and stuff. I did do my own development but suspect I didn't think of what I was doing as world building... it was just adding adventures and dungeons and stuff I thought was cool. Since I didn't see the world as a published setting with fixed details or a "canon", it morphed to be anything i imagined it to be. My known world looked a lot like Middle Earth, but also had some sword & sorcery elements and stuff. But it had no name, no plane, nothing beyond what was on the X1 map except in a few places where I added exotic destinations. I had absolutely no notion at all of gods or religions. I remember first seeing the Dieties & Demigods in the store, and toyed with adding those gods, but ultimately I never did much with that. There were cults and evil gods tucked away, mostly in the "serial numbers filed off" sense that you see in B2. The Lawful campaign religion resembled a vague catholic church as it might be protrayed in a Hammer film, but didn't need any development cause we all knew what that was, and nobody wanted to play anything different. Again Greyhawk opened my mind to possibilities. I first encountered the notion of Immortals in the late 90s and thought the whole thing strange and unique, and it felt wrong for the setting, but also very gameable. In time I came to see it as a unique feature that I wanted to play with, and still later something I wanted to drop again. I have tried to recreate the "world that was" from my youth, but it's a slippery rascal. I think it defies attempts to grasp it, because it never had any solidity. It was completely intuitive, never written down, without fixed form, ever-changing and always the perfect expression of my mind's eye. It perfectly fit my tastes and predilections because it had no existence apart from me; it was me. I'm not sure I ever bothered to explain it to players either, so undoubtedly they saw it their their own lens. I wish I could go back to that intuitive simplicity, but it seems not possible... I have seen too much. It's like having learned math and physics, I am unable to see reality as magical anymore. Same way for games. Not only can I not stop myself from world-building and thinking of things in modern terms, I am unable to keep elements of "Mystara" out of my "Known World". Some things are too compelling, or I have known them so long they are inextricable and feel like they were always there. In that sense Mystara has infected my Known World and rewritten its DNA. This is a great summary. While I didn't play in this setting during my youth, I feel the same way about the homebrew creation that I ran for many years. This is pretty much my whole point. Without any offence meant to anyone, have we been collectively misremembering, and retroactively applying the name to the world before it was actually called that? The evidence would seem to point to that indeed being the case. Even if Lawrence Schick and Tom Moldvay did conceive of the world as "The Known World" back in the 70s, there's simply no way anyone outside of their group or TSR could have known that until 1985 at the very earliest. I do remember when the name "Mystara" was announced, and of course we have concrete evidence of when it started to be used. We can see even from this thread that some gamers were already calling it the "Known World" all on their own long before the first official reference appeared. I suspect it was a gradual thing, with the not-quite-name naturally filling the void and replacing the clunky "D&D Game World". But I also agree with Mike's writeup — I'm not at all sure that I was thinking of it as a world at all, really, until the Gazetteers. It was just "D&D". I remember seeing The Known World in the later sets and saying, "Ah, that is the name they are giving the implicit setting on which I cut my D&D teeth." I have a distinct memory of it being a term I had not previously encountered but instantly recognized the meaning of. I was an avid red box player, and up through the Companion set, but my interest waned before diving into Master and Immortals sets. So if the term appears in the Master set that would be consistent with my memories. As I started playing D&D with the Expert Set (was given it and didn't know about the Basic Set for quite a while), I grew up playing in "The Lands and Environs of the D&D Wilderness". And can I ever tell you about how much I wondered about what was in all those different places! If memory serves me (it probably doesn't); I remember it being called the Known World when I began with the Mentzer sets. I really can't tell you where I picked that up though as I just had the Basic and Expert boxes and no real knowledge of anything outside that sphere. Well, that is enlightening. To think that all this time of me traipsing around in my friend's "Known World" campaign back in the pre-1985 (and the year we graduated high school and went into the military) formative years of our D&D that we had collectively called it something that it wasn't called until (either) 1985 or 1988. You've looked at the Gazetteers and BECMI rule sets for references to the Known World, and true - whether I like it or not - neither X1 or my Moldvay/Cook/Marsh Expert rulebook has any mention of the "Known World". But my friend who ran "The Known World" campaign for us also had access to the Trail Maps (at least after our military days in late 1980's) and we all had non-concurrent access to The Dragon magazine throughout the 80's. Is it possible that one of the designers used "Known World" in any Dragon magazine articles or adverts before 1985? I can't promise to take a look at my Dragon collection soon, but I am curious to see the articles regarding "The Known World" before 1985. Or, perhaps it did start in 1985 - although this was the start of my 4 year stint in the Navy, with sporadic access to my friend's KW campaign - until we gamed together again in 1993. This whole "misrememberance" may be a product of, as you say - "anachronistic memories", but it is my belief that memory is a living, breathing, evolving, and therefore - changing thing. Our memory is as alive as we are. We have been guided by the internet as our main avenue of socialization and repository of knowledge for decades now. Only 2 decades for me, but some D&D players even longer, thanks to early pre-2000 internet incarnations like usenet, etc. It is very well possible that during our years of depositing knowledge, that we never did put a definite timestamp on certain things - like the Known World campaign moniker - so when we remember bitd, we remember the untimestamped label - The Known World - as if it had always been that thing. One thing the internet can do that our memories cannot is find the timestamp that a thing was first recorded for all eternity. I certainly remember it so, but my main influences on "The" Known World were never rooted in Mentzer's Master rulebook or Gaz10. But I do remember it from Dragon Magazine, and I think that is worth researching to find the earliest use of "Known World". This makes me think of that weird 'S' that appeared in the 90s. No one knows where it came from; it just was one day. It is worth looking at the linked article on the development of the Quagmire module (why it is in Savage Coast sub-forum I am not sure - for me the Savage Coast is what lies beyond it). In this the selection of old TSR documents just refer to the "D&D world". For me, I think I remember thinking of the D&D Expert map as the "known world" - small "k" and "w" - as in that part of the world known to travellers from the countries therein. Slight nitpick: The name Mystara dates back to 1991 (Dragon #173). So we have a 3 year period of the name Mystara being used before it became associated with the AD&D line. Notable pre AD&D products using the name Mystara include Wrath of the Immortals (boxed Set) and Champions of Mystara (Boxed Set). Agreed. I will have the article moved to the main forum. Feel free to use the report function for such requests since that means all mods can se it. Growing up playing D&D with my family we had all the BECMI sets, the 81 expert set, and none of the gazetteers or 2e stuff. 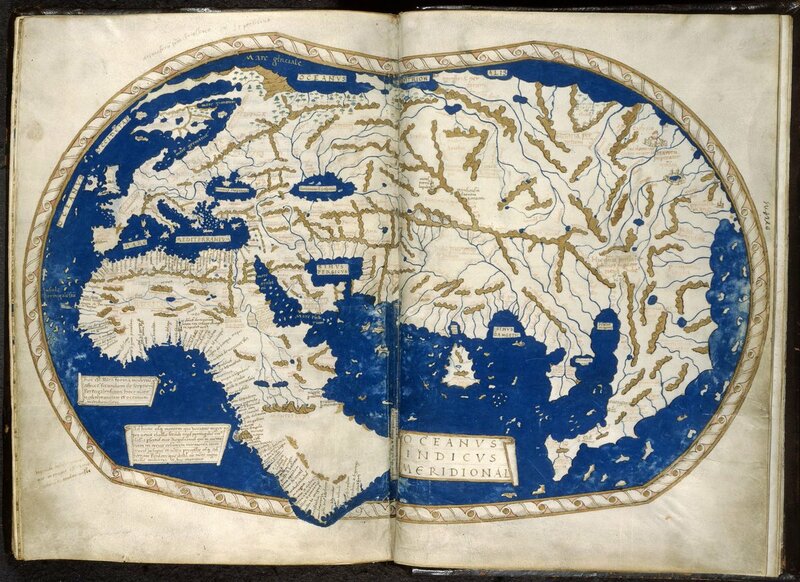 When we referred to the 'known world' we were talking about the big map in the master set; we didn't have any special name for the map from x1, except maybe 'the empire' because most of the continental map was under control of the empire(not necessarily thyatian). I didn't even learn that the known world was called mystara until middle school in the early 2000s. I just scanned through Dragon Magazines starting from #52 (Aug 1981) where the Moldvay Basic set was introduced. I was looking for references to the known world and especially that title. My thinking was that maybe we got it from a Dragon article, or maybe it was in colloquial use in letters to the editor or something. In 60 issues of Dragon I could only find four references to the known world since the Expert Set was first released. The first reference was in Sep 83 (dragon #77) when Mentzer announced the new Basic/Expert sets. At that time he named it simply as "the fantasy world from module X-1". The second reference was in Apr 1985 (dragon #96) where there was an advertisement for module CM4 Earthshaker!, which read: "Now the Earthshaker is coming out of the mountains to claim his empire — the known world!" The third reference was in Dec 1985 (dragon #104) in a discussion of module X10 which referred to "the civilized lands of the D&D Expert Set game world" and "the D&D Expert world" and "the D&D campaign world". The fact that three different phrases were used to identify it really drives home that this was a setting without a name. The fourth reference was in Jul 1986 (issue #111) in the call for submissions for the new Dungeon magazine, in which it mentioned that material for "The Known World" of the D&D game was acceptable for submissions. This is the first time the Known World was used as a title in Dragon magazine, unless I missed something. The CM4 ad is interesting; I don't have a copy of that module so can't check it out. One thing I did notice is that "the known world" as a designation was fairly common. I first saw it in Aug 1981 (did not check issues before that) and it remained in use in all the issues that I checked. It was used for a wide variety of settings, from the real world to Greyhawk and even novels. This suggests that it was a phrase that people were already familiar with (possibly from history education) and were applying to different imaginary worlds. If the term was that common and widespread, it is very likely that a setting lacking a name would simply be called "the known world" as a default. The known world of Roman times and medieval Europe also didn't have a formal name; that was it's name. Since the KW already echoes earth, it is not surprising that a term commonly applied to geographical regions on Earth would also be applied to the KW. That lends plausibility to the widespread claim that gamers called it that in the early 80s. Dragon 090 - Review of CHILL RPG mentions the "known world"
Dragon 099 - Review of novel "Stormwarden" mentions threatening "the known world"
region on this continent is Norwold. the players' map with the map shown on p.
16-17 of adventure X1, "The Isle of Dread."